Warm up your week nights with Stove Top Stuffing. Ready to serve in just five minutes, Stove Top is a delicious way to spend less time cooking and more time with family, any day of the week. It's just not Thanksgiving without Stove Top! Ever since I was a kid my mom has made Stove Top Stuffing with her Thanksgiving turkey so it's definitely a tradition to have Stove Top at the Thanksgiving dinner table. 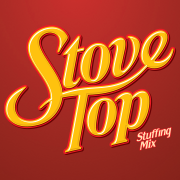 Stove Top Stuffing has always been a favorite of mine! I love the delicious flavor and the light fluffy texture that it has. I also love that it's extremely versatile and that many families seem to have different traditions when it comes to Stove Top Stuffing. I've seen other families add apples, pears, and even peaches to their Stove Top Stuffing and to my surprise it always tastes amazing. My mom doesn't really do anything fancy with her Stove Top Stuffing and it by far is my favorite and is how I plan on doing it when my mom passes off the Thanksgiving dinner torch to me! 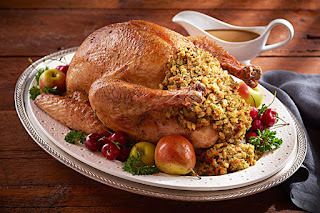 If you like a traditional stuffing check out the recipe below for Stove Top In the Bird. That's how my mom has always prepared it! 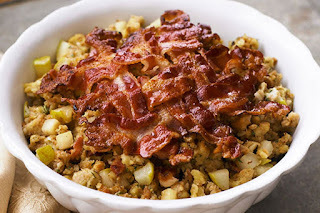 However, it you want to add a little sweetness to your Stove Top Stuffing I recommend the Bacon, Pear & Walnut Stuffing with Maple Drizzle. Click HERE to find a store near you that sells Stove Top! Click HERE to learn more about Stove Top! Follow Stove Top on social media!